HELP sick Koi and i don’t know what to do.? and i did a partial (25%) water change today and another partial a week ago. i just checked the fish and there are small spiderweb red veins throughout the entire fish. it might be flukes (that’s what i think it is) but i really really hope its not khv. but im afraid the koi isn’t gonna last through this. HOWEVER i have a few other fish in the 75 gal tank, and they seemed fine but now they they are rubbing against objects. however the quick cure and the melafix do not seem to have any effect!!! high ammonia levels and ich!!! get a filter thing with an amonia remover. mine is aqua clear and its fantastic. ok….ammo-lock is crap you still need to do 10-25% water chnages daily until the ammonia goes down to 0, you can use amquel as a water conditioner and an ammonia locker. buy some aquarium salt and use a tablespoon per 5 gallons of water. the koi has ick and sepetcemia. i recommend a product called lifeguard because it is for parasites and bacteria. if you can’t find it use rid-ick (best ick product), general cure, or ick clear along with a mardel fish anti-biotic made for septecemia because that is what the red streak are. the ick meds and salt should help the white spots and scratching against objects. do not add any more fish to this tank! Wow you do have a few things going on here. First off your fish has symptoms of septacemia, but the red gills state there is a water quality problem. What are your water tests looking like? Red gills is a sign of toxins ammonia or nitrites. You should already be doing 25% weekly water changes. Every week. The white bumps where are they at on the gill covers? This doesn’t mean ich. Fin rot as well is usually from poor water conditions. Sometimes it may be a bacterial infection. It isn’t flukes. You would see them. NO HEATER it isn’t going to help What is KHV? Sounds like a parasite or the start of ich if all your other fish are flashing. If this is the case get yourself an antiparasitic. Quick cure, or really any other ich med will work. DO NOT add ammo lock to the tank. What happens when you add this junk to the tank you cannot get an accurate reading on what the real ammonia reading is since this will elevate the reading. Keep it out. Also, ich is NOT cured over night. You will need to treat for a minimum of 7 days before you will rid the tank of ich. The filter media (carbon) needs to be pulled or there is no affect on the fish. Read and follow the directions. NO salt either. Koi and goldfish should NEVER have salt in their tank. Use the quick cure. Follow the directions, no salt no heat treat for a minimum of 7 days. For more sever cases 14 day treatment may be needed. 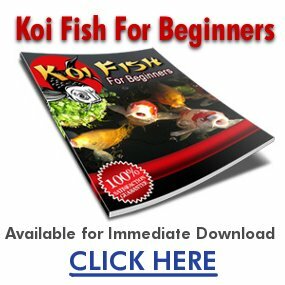 your koi is only a week old so treat for the time needed here.